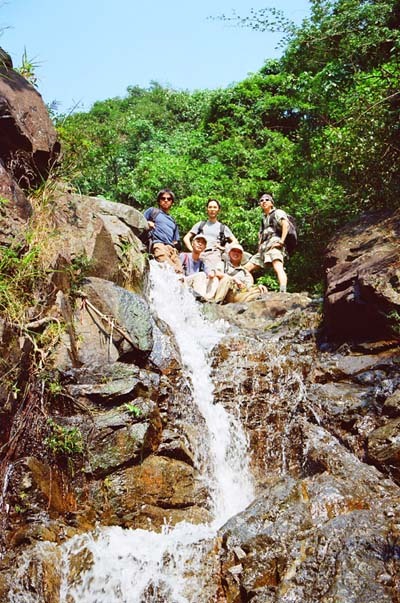 This is another interesting stream in Tai Mo Shan area. 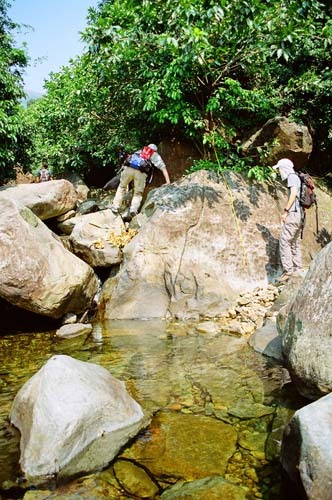 The stream runs from Tai Mo Shan to Yuen Yuen Institute (圓玄學院). 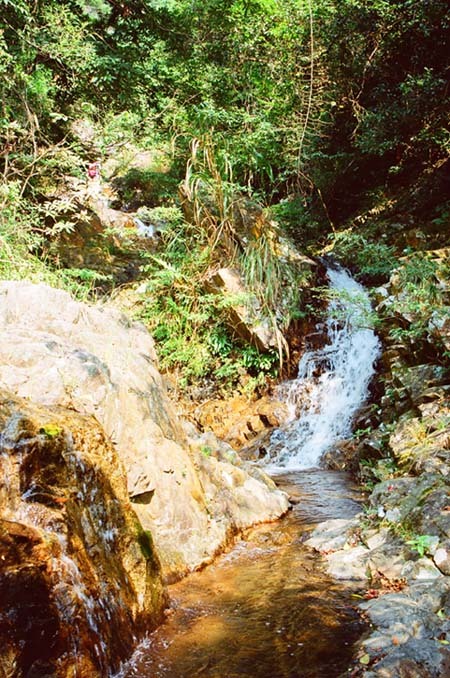 The stream is clean and is quite exposed, not sunken in deep forrest.Compared to the nearby stream, Taishing stream, its water pools are smaller and shallower. However it bares more challenging features. 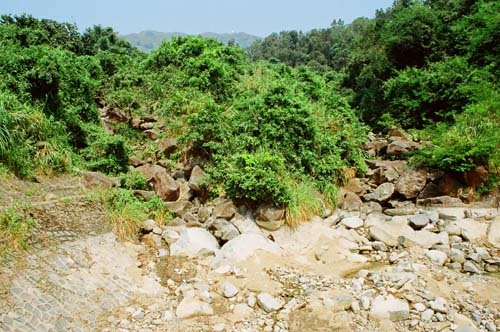 In rainy seasons, this stream could be quite demanding. The entrance is marked by a dam on a catchwater. The picture was taken right beyond the dam. Take the track on the right. 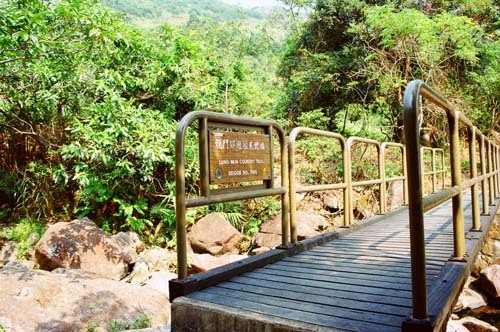 This is the middle exit where it joins a regular hiking trail. The stream become more appealing after the middle exit. Here we meet Mirror Flower Pool (鏡花潭). 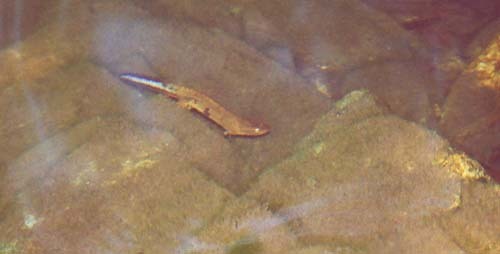 There are some Hong Kong newt (蠑螈) inside pool. It has a colourful tail. You can take the path on the left to proceed. 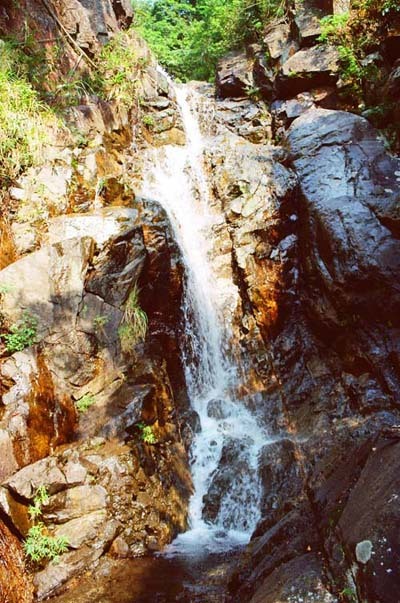 Afer Mirror Flower Pool, a series of loosely connected waterfalls come to greet visitors. Here is one of the highlight of this trip. This is The Fall of Jumping White Dargon (白龍躍水瀑). 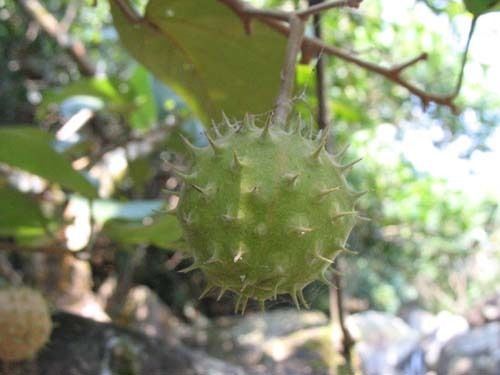 It is about 10m tall. Unfortunately, the pool below this fall is pretty small. 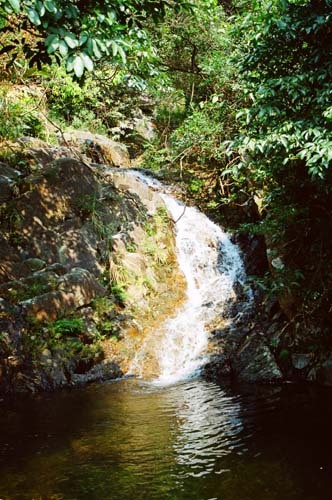 One can take the hidden path on the right to scale to the top of this waterfall. Please chick the following video to hear the roar of this beautiful white dragon. This video clip is about 28M, please be patient. 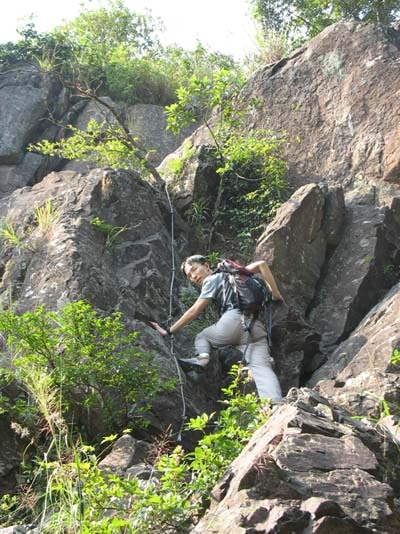 This is the second highlight: Cliff of Flying Monkey (飛猿崖) which is about 15M in height. All cameras are pointing skyward for this high cliff. 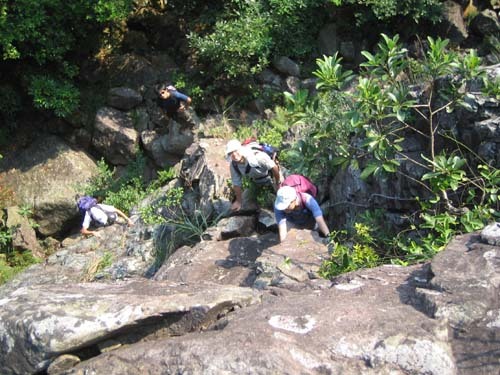 There are 2 to 3 ways to scale up this cliff. In wet reason, the number of choices may reduce to one. One of which has a rope hanging down for climbers. However, the upper part of this way has no rope for assistance. It is all on your own. 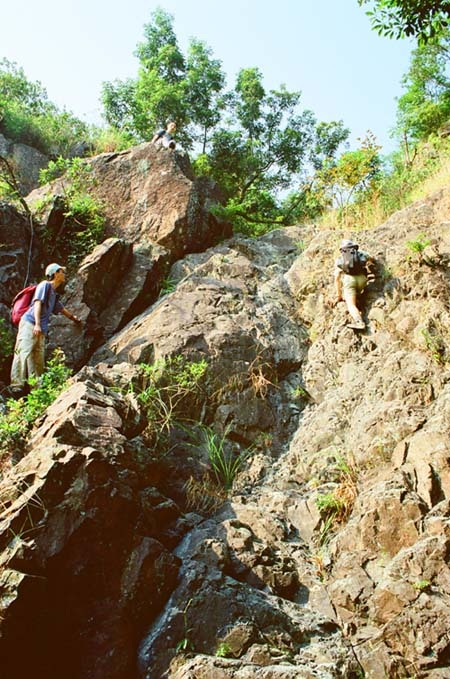 The guy on the right is taking an altnerate route upwards. Quite high. It is really not for the inexperienced. Not joking, the slope really inclines at 70~80 degree. 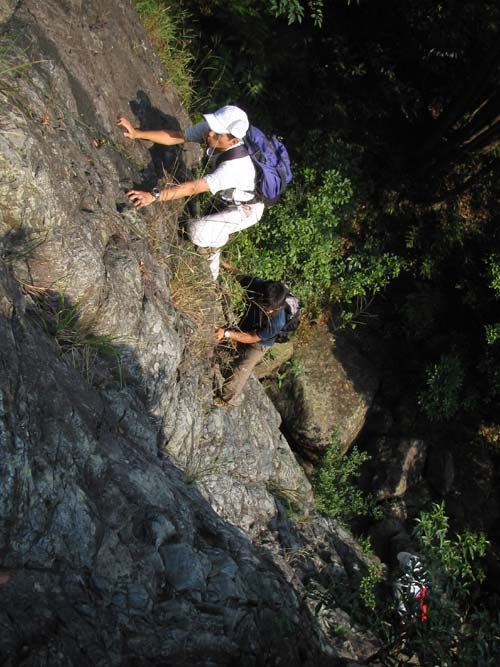 After this cliff, the stream becomes more gentle. 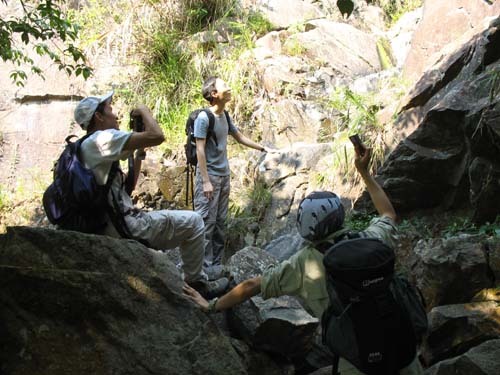 You will meet a junction pretty soon, take a left turn to reach the upper exit which is also on a regular hiking path.